Sweden (Swedish: Sverige ), officially the Kingdom of Sweden, is a Scandinavian country in Northern Europe. Sweden borders Norway and Finland, and is connected to Denmark by a bridge-tunnel across the Øresund. Sweden is the third largest country in the European Union by area, with a total population of about 9.5 million. Sweden has a low population density of 21 inhabitants per square kilometre (54 /sq mi) with the population mostly concentrated to the southern half of the country. About 85% of the population live in urban areas. Sweden's capital city is Stockholm, which is also the largest city. Since the early 19th century Sweden has been at peace and has avoided war. Stockholm is the capital of Sweden and the largest city of Fennoscandia. Stockholm is the most populous city in Sweden, with a population of 871,952 in the municipality (2010), 1,372,565 in the urban area (2010), and 2,119,760 in the metropolitan area (2010). As of 2010, the Stockholm metropolitan area is home to approximately 22% of Sweden's population. The Swedish Wrestling Federation has 21 provincial associations with 150 wrestling clubs. Sweden was a top nation in wrestling. In Scandinavia, the Greco/ Roman style is more popular than freestyle. Sweden is in female wrestling one of the best nations in the world. The Klippan Cup is one of the most popular women's tournaments in the world. 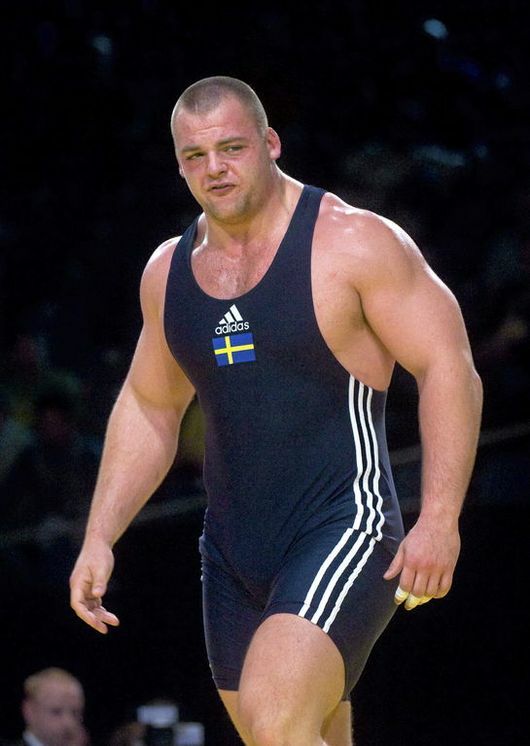 Sweden has a long tradition in Heavyweigth catergorie with world class Wrestlers. Jalmar Sjöberg 3. World Champion 2009 and Johan Euren - Bronze at the Olympics in London 2012. The last Swedish Olympic champion was Mikael Ljungberg in 2000 in Sydney. More medals went to Thomas Johansson in 1992 (silver) and Tobjörn Kornbakk bronze). 1996 Mikael Ljungberg (bronze). Ara Abrahamian 2004 (silver) and in London Johan Euren and Jimmy Lidberg both could win bronze. Ara Abrahamian (2001 and 2002), Jimmi Samuelson (2002), Sofia Mattsson (2009) and Jenny Fransson (2012). More World Cup medals went to Martin Lidberg, Jimmy Lidberg, Jalmar Sjöberg, Johanna Mattson and Henna Johansson. In the nineties Sara Eriksson took several Europe -.,and world championship titles. Sofia Mattsson, one of swedens female world class wrestlers won Gold (2009), Silver (2011) and Bronze(2012) at World Championships. 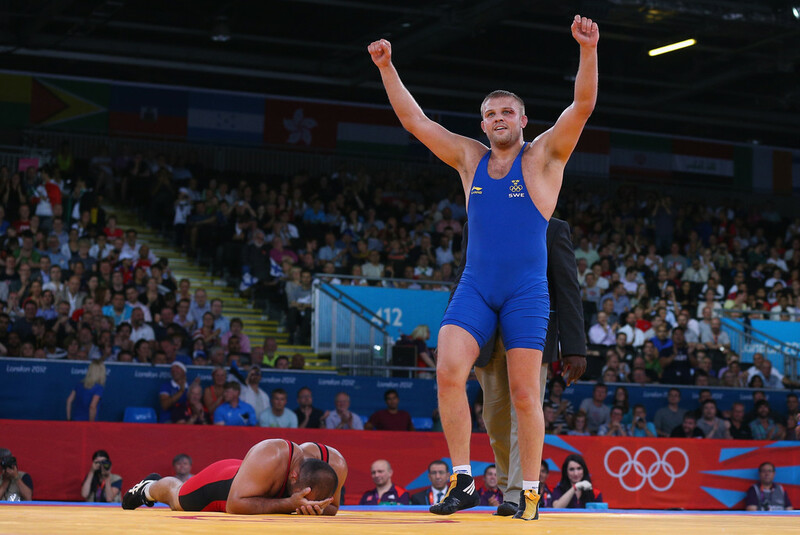 The Swedish wrestler regularly bring home medals from Olympic Games and are thus quite popular in Sweden. The best clubs are located in Stockholm, Gothenburg and Malmö. In the province of Skane (In the south) are concentrated about 40 wrestling clubs. Many Swedish top wrestlers earn some extra income in the German Bundesliga. The Olympic bronze medalist Johan is competing for example for the club RWG-Moembris Königshofen. National coach in the Greco / Roman style is Mohammed Babulfath. Gällivare (best Club in female wrestling with the Mattsson Sisters) in the high North.